'Baby Girl Clothes Line' Baby Shower Dessert Plates feature a pink chevron print, polka dots, and a clothesline of girls' baby clothes. 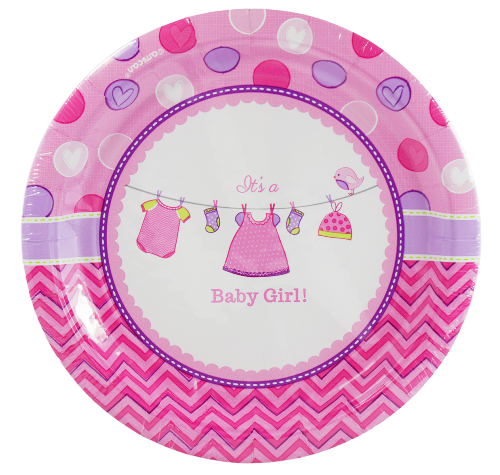 'Baby Girl Clothes Line' Baby Shower Dessert Plates feature a pink chevron print, polka dots, and a clothesline of girls' baby clothes. Match your baby shower theme with these large paper plates, which are big enough for sandwiches or finger foods.